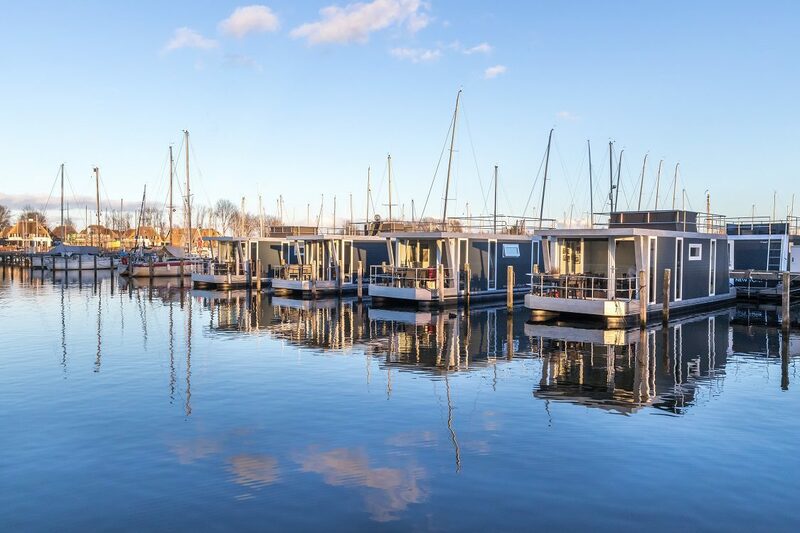 Marina Muiderzand has two Chalets on the water. They are kind of like houseboats! If you are going on a hiking trip light on luggage, this is a convenient accommodation. But of course, it is also perfect for staying on the water for a week of sailing or boating. You can use the sanitary building in the marina Marina Muiderzand Almere. Bring your own sleeping bag/duvet, pillows and mattresses with fitted sheets are provided in the cabin. Tip: The chalets are not only popular with water sports enthusiasts, but are also a great place to stay for cyclists and hikers. Nature reserves with many birds, such as the Oostvaardersplassen and Lepelaarsplassen, are within cycling and hiking distance.